If you are a family in the market for a certified pre-owned (CPO) Chevy car, truck, or SUV, now is the best time to visit DePaula Chevy and take a look at our huge inventory. We have more than 100 CPO sedans, trucks, compact cars, and SUVs for you to choose from in our Albany lot. But, first, why choose a CPO? There are a lot of reasons that especially apply to families. If you are seeking more warranty and coverage than a typical used vehicle, a CPO is the vehicle for you. Being branded a Chevy CPO gives you and your family the security and peace of mind of being backed by Chevrolet, plus it provides you with more protection and will help your budget because it is generally less than buying a new vehicle. To become a CPO, these cars, SUVs, and trucks are inspected by a Chevy dealer’s factory-trained mechanics using particular specifications created by the car manufacturer. You and your family can have peace of mind that your vehicle has had a thorough inspection. Your CPO vehicle comes with the rest of the new car warranty, along with an additional warranty that can cover as much as 100,000 miles. Chevy requires its vehicles to successfully pass an exhaustive 172-point inspection checklist before gaining the CPO designation. Chevrolet has specific mileage limits for its CPO vehicles. They must be from the current or preceding five model years and have 75,000 miles or less on the odometer. When you purchase your Chevy CPO, you will receive a CARFAX vehicle history report and 24-hour roadside assistance. The Chevrolet CPO program has been praised as one of the best. What stands out above its competitors is its two free maintenance visits for two years or 24,000 miles. If you or your spouse hears an unexpected noise, you can take your CPO Chevy vehicle to be checked. You also get an extra year or 12,000 miles of bumper-to-bumper warranty coverage and a six-year/100,000-mile powertrain warranty. Another perk from Chevy is its vehicle-exchange program; this incentive allows a CPO customer to switch out their chosen vehicle for a different one within three days or 150 miles. That’s right; if you or your spouse decides you need a bigger vehicle for your family, you can trade your Chevy Camaro for a larger Chevy Trax or Equinox. What’s more, since Buick, Chevrolet, and GMC share a CPO program, you could trade in your Cruze for an Encore or a Yukon. Here at DePaula Chevy, we offer a variety of sales and deals on CPO cars, which will lower the overall price you pay. Almost every month, Chevrolet offers a new CPO deal. In May, Chevrolet offered a number of its CPO models with just 1.9 percent financing, including the Cruze, Malibu, Equinox, Malibu, Traverse, and Silverado. 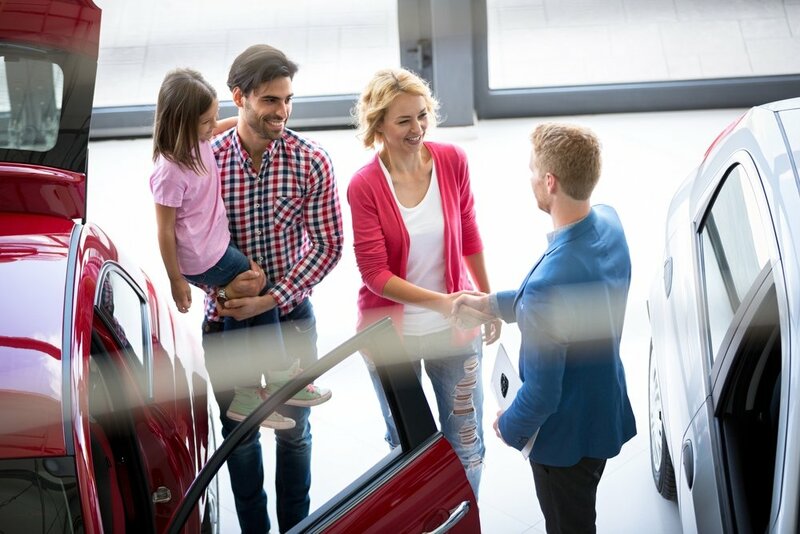 Currently, in our certified pre-owned Chevy inventory, we have a number of highly rated vehicles that will be perfect for you and your family. The 2014 Chevrolet Cruze, a popular top seller among used small cars, provides a comfortable ride, upscale stylish interior cabin, and even handling and responsiveness. The 2014 model, which seats five passengers, was given a new four-cylinder turbodiesel engine that provides excellent fuel economy. That means your spouse won’t have to stop as often to fill up the gas tank. Although it’s a compact car, its trunk will easily haul your strollers and luggage. You and your kids will enjoy taking this vehicle on short trips to run errands or longer vacations. If you’re seeking a roomy five passenger sedan for you and your family, the 2014 Chevrolet Malibu on our lot is a great choice. It has all of the attributes a driver could want: smooth ride, good gas mileage, large trunk for cargo space, and high safety and reliability scores. Its optional safety package will provide you and your family with lane-departure warning as well as forward, rear-traffic, and blind-zone alerts; if you want peace-of-mind getting your family where it needs to be, opt for the navigation package, which adds direction information to the seven-inch color touch screen. This particular year’s model also offers an updated exterior styling, retuned suspension, and increased rear seat legroom for your taller passengers. This is also the first model that included blind spot monitoring and iPhone integration with Siri. If you’ve recently opened a business that requires a full size pickup truck or you’ve purchased a boat that you’d like to haul to nearby Lake George, you might want to invest in our 2013 Chevrolet Silverado 1500. Its powerful 5.3-liter V8 engine will easily be able to tow your vacation gear along and provide plenty of room for the entire family. Its spacious rear seats in the crew cab enable the Silverado to comfortably handle three to six passengers. One of the most popular models on our Albany lot is a subcompact SUV. If you would like to get a CPO model, we offer a 2015 Chevrolet Trax. This five passenger vehicle receives high praise for city driving and parking, maneuvering around Albany’s city streets with its tight turn radius and small size into narrow parking spaces. Owners will also be pleased with its great fuel economy, good reliability, and how well it handles. If you have little children that require car seats, the Trax makes it easy to be a parent. You’ll be able to easily install the rear-facing convertible into the backseat. Since the backseat is flat with little bolstering, it is easy to install a booster seat for your children. If you’re in need of a bit larger, yet still compact SUV, the CPO 2014 Chevrolet Equinox will provide you with a smooth ride, spacious seating for five passengers, and one of the highest reliability ratings in its class. No matter how many you transport, this compact SUV gives your passengers roomy seats and a powerful V6 engine. No matter how small or large your family is or how old your children might be, a CPO Chevy vehicle will easily take them around town and on vacation along with their gear. Please visit us at DePaula Chevy to learn which CPO Chevy vehicles we have in stock.